Last week, Renaissance Community Co-op announced that it would be closing its doors later this month. The announcement came as a shock to the residents of East Greensboro who assembled Monday night at Phillips Avenue for a community meeting. It took years of work for activists to make the Renaissance Community Co-op a reality. 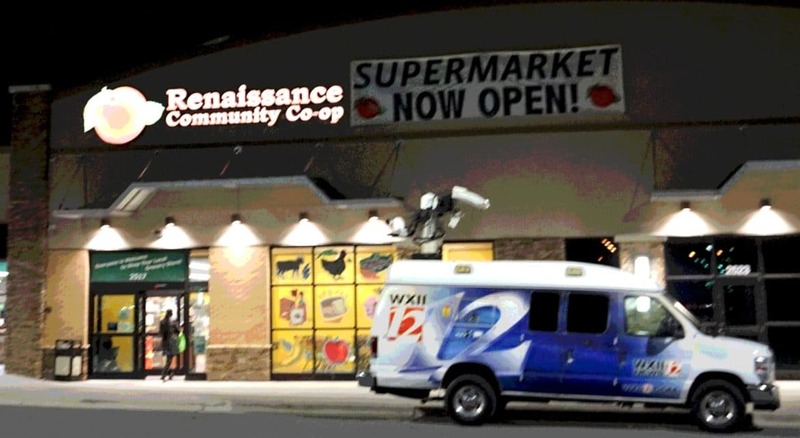 While the closing of Renaissance is a setback for East Greensboro, community members are hopeful that a new grocery store, possibly a new co-op will take Renaissance’s place soon. Despite the closing of the anchor tenant at the Renaissance Shops at Phillips Avenue, the transformation of a once-vacant shopping center in East Greensboro is an achievement in itself. Even in failure, East Greensboro has much to teach East Winston regarding community development. The Renaissance Community Co-op opened in late 2016. But in front of community co-op, the McGrit-Horton branch of the Greensboro Public Library system opened years earlier, in 2009. The McGrit-Horton library is a tremendous resource in East Greensboro. 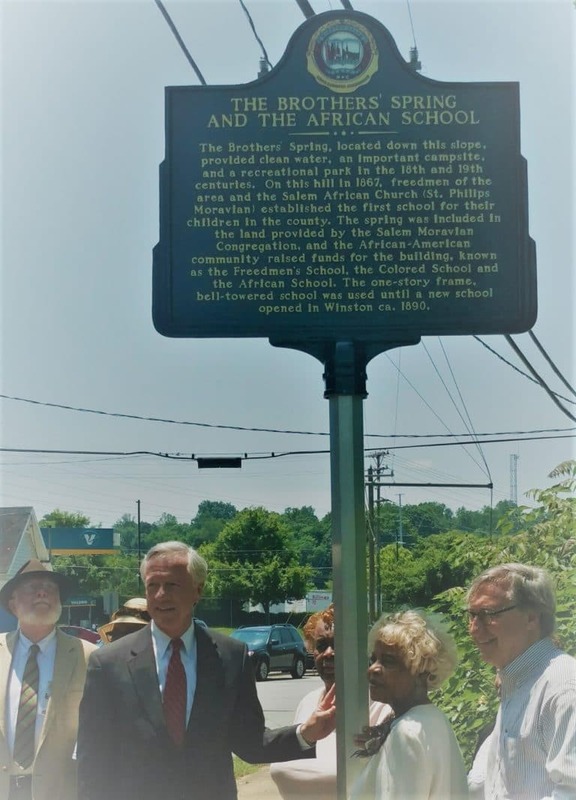 It’s an example of a smart public investment that aids community projects, and private investments. There aren’t many examples of smart public investments in East Winston. Imagine if instead of a Zesto on New Walkertown Road the community had a community co-op. 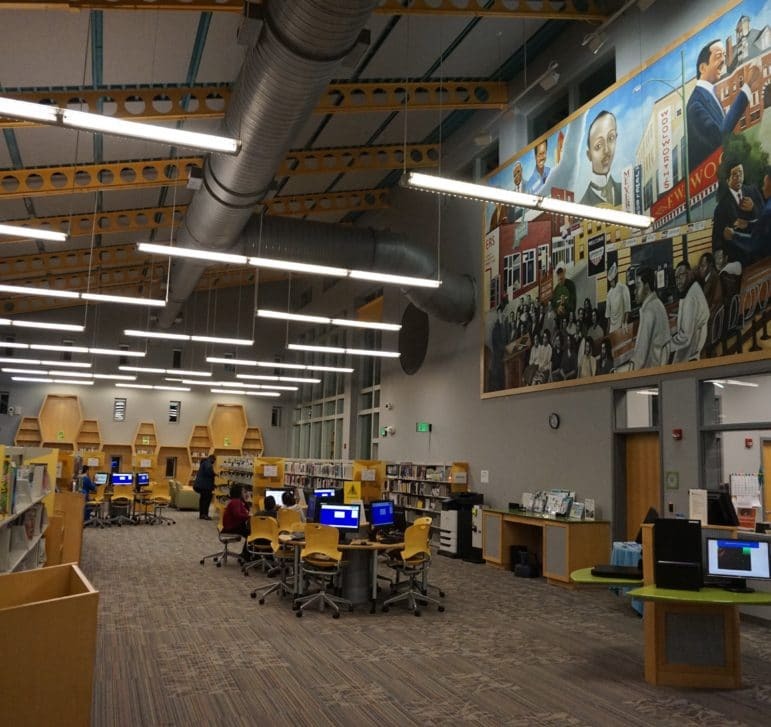 Imagine if instead of a failed office park at 14th Street and New Walkertown (ironically named Premier Park) the community had a beautiful, modern library such as the one they have in East Greensboro. East Winston would be better off with a failed community co-op than the Amer Center on North Patterson, the Liberty Street Market, Goler’s hydroponic lettuce project, or millions spent in RUCA funds that have failed to transform East Winston, and an Enterprise Center that hasn’t produced many enterprises in East Winston. The failure of the Renaissance is a setback for East Greensboro. But at least they are funding the right projects. 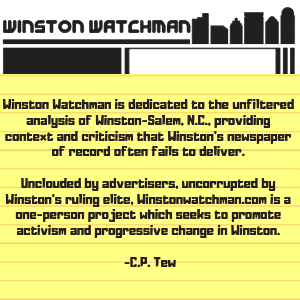 In East Winston, the City Council is funding projects of questionable merit, often overseen by non-profits closely connected to the City Council. We can do better. The needs of East Winston compel us to do better. Long live the Renaissance Community Co-op! May the City Council invest in smart community projects in East Winston going forward! It is with a heavy heart that we inform you that we must close our grocery store. Our goal from the beginning was to build a self-sustaining store that met the community’s needs for good jobs and fresh, affordable food. Since the store opened, we have not been able to produce the sales we need to be sustainable. By late December, it became apparent to us and our financial partners that there was no foreseeable way to boost our sales astronomically, which is what we would need to do to stay open. Our sales are simply too low to cover our expenses. Thus, our last day of operations will be January 25th. We thank you for all you have invested in the co-op, and all you have invested in bringing this cooperative and our grocery store into existence. Thank you for believing that we could own something great together, pay our employees with dignity and govern our business through democracy. Thank you for evangelizing to your friends and community members about the investment you made in this cooperative, and making them members too. We thank many of you for your volunteer hours, attending meetings where we learned together and thought together, and for spending your dollars at the co-op. Though we are heartbroken that we must close our doors, it is important to recognize that in even opening our store, building a cooperatively owned business in a predominantly Black community with over 1300 owners was a huge accomplishment. Ending a food desert, even for a little over two years, is a huge accomplishment. By investing in the RCC, we provided valuable work experience and professional development to dozens of employees. 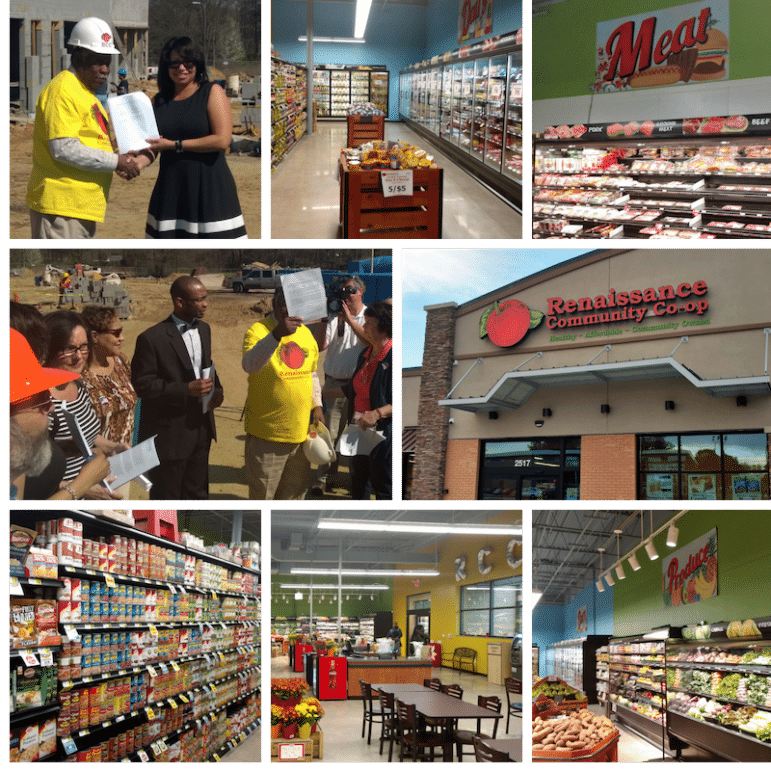 Our organizing to open the grocery store led to Self-Help Ventures Fund upfitting a previously decrepit shopping center in North East Greensboro. They are committed to the continued economic development of the area. We also gained the experience of pooling our resources- monetary and otherwise- to build something together. Although closing the store hurts, it would be even worse than the closure of the store would be if people took away from this experience misconceptions that we were unable to keep the store open becausecommunity ownership does not work or because of the community we opened in. Allowing this to dim our commitment to community-ownership as a method ofcommunity wealth building would be a true failure. We are in the process of figuring out a severance package for our employees, one that will honor the time they spent working for us and assist them while they search for new jobs. We will also host a job fair where employees will be able to get assistance applying for unemployment and seeking new jobs. We invite you to a community meeting on Monday, January 14that 6:00 PM at theRenaissance Community Co-op(2517 Phillips Avenue) to learn about our plans for closing, ask questions, mourn the closing of the store, and connect with fellow co-op owners. And, we hope you will come shop at the store as often as possible between now and the 25th– there will be some great bargains! We thank you for all that you have invested in our cooperative.